Thank you for coming by and learning more about us. Located in gorgeous Chico, our focus at Masula Chiropractic is treating the source of your pain. As a chiropractor andwellness doctor, Dr. Masula's neurological background gives him special insight and experience into a wide range of conditions that may be affecting you. Headaches, arm and neck pain, numbness and tingling, and balance disorders are all symptoms Dr. Masula is experienced in treating. If you have had a sports or motor vehicle injury, were hurt at work or elsewhere, we are here to help you recover and rehabilitate. 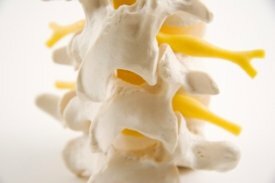 Neuropathology and spinal decompression are just two of the modern treatments we utilize in our chiropractic clinic to provide maximum pain relief. We learn your health history and work with you in discovering your level of pain to devise a comprehensive and custom treatment plan. Our plans are designed to treat your underlying pain and prevent future problems. As part of your treatment, we may include nutritional advice, corrective exercises, spinal screenings, and massage therapy. Changing your diet and exercise routines can drastically affect many conditions and provide a better quality of life, better flexibility, strength and stamina. Additionally, spinal and postural screenings allow us to look deeper into your condition and determine any underlying issues that might be hindering your overall health and wellness. We also provide massage treatments that can increase blood pressure, alleviate stress among other natural benefits. Our chiropractic clinic and staff are very involved in our local community. We regularly participate in events for children, county fairs, as well as home and garden shows. Our chiropractor and staff believe that awareness of spinal health and wellness is important and we use these opportunities to educate our friends and neighbors about healthy living. In addition to our community outreach, we are involved with many wellness partners that offer their expertise and guidance as well. Please visit our wellness partners section to learn more. We offer free memberships to our website that includes free articles about health and fitness, exercises and diet tips, and free videos that will enlighten you and provide you with helpful information concerning chiropractic care and wellness. The free monthly newsletter is designed to get you on the path to wellness and help keep you healthy. A few little things that we offer to help enrich your life and get the most you can from it. One of the first steps to wellness is to treat and eliminate pain or injuries. We treat patients suffering from vertigo, herniated discs, neck pain, shoulder pain, or who have been involved in motor vehicle accidents, personal accidents, and suffered sports injuries. Once we have treated your existing pain, our wellness doctor will work with you to help you create a new, attainable healthy lifestyle. Please contact our office at 530-342-6441 to see if our spinal decompression, physiotherapy and neuropathy services are right for you.